I'm trying not to let the term 'reader question' inflate my ego, but I did receive a Facebook message from the Philippines from someone who tracked me down from my blog to ask me a very specific question about the moon phase during a certain position. She drew diagrams on a napkin and sent them from the other side of the world, neat! The question was: "I've been looking at the moon lately and I'm trying to solve something really important. I hope that you can help me... 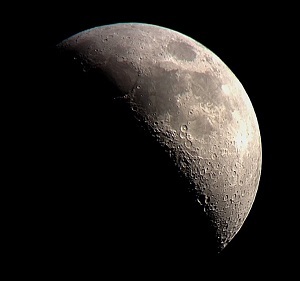 If the moon is waning or waxing [gibbous] in the morning, which phase has the top part left out?" So which phase has the top part missing in the early morning as shown in her diagram? This question is sort of backwards because it's all about identifying the name (waxing or waning gibbous) rather than the position. My quick diagram to work out which moon phase she was referring to, and it's most likely waxing gibbous setting in the west in the early morning. 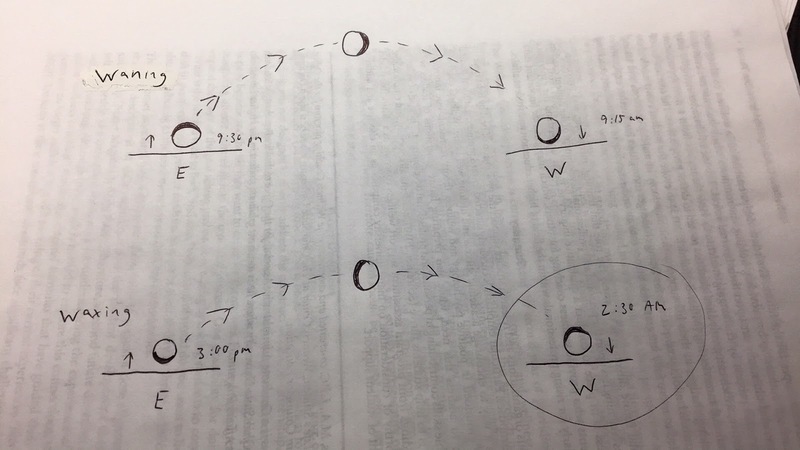 In short, a gibbous moon would only look like the drawing the reader provided at 2 times during the month. 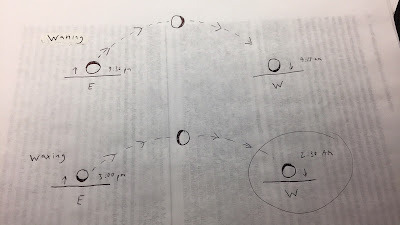 With the top part in shadow and the light part of the gibbous closer to the ground, it could only happen with the moon either rising or setting. Directly overhead the moon would appear to be facing sideways with the shadow part 'pointing' to the left or the right. 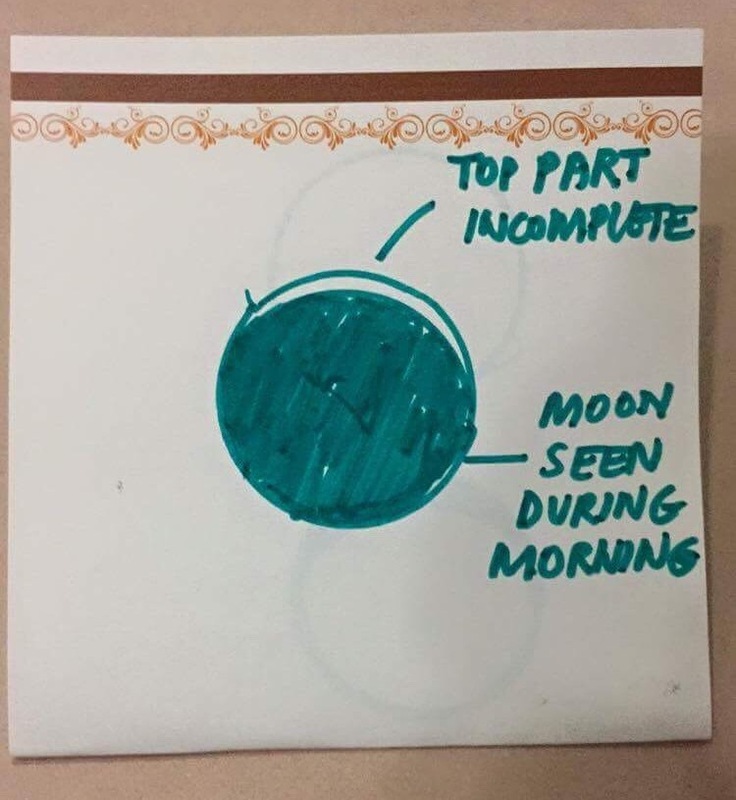 The moon looks exactly like her drawing when a waxing gibbous is setting and when a waning gibbous is rising. 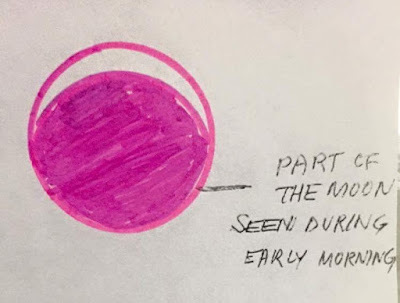 As the moon rises and sets, the side of the moon that is the first to rise is also the first to set - in other words the 'leading edge' of the moon is first above the horizon and first below it, so the moon appears to turn in the sky, but is fixed relative to the arched pathway. If you think of a crescent moon, it will appear as a smiley face and a frowny face over the course of the same night. Okay, so now all I had to do was figure out if she was looking at the moon rising or setting. Without knowing her cardinal directions, she did refer to 'early morning' and send along some local times. It couldn't be the waning gibbous because it only looks that way as it's rising after 9pm at night, so it must be the waxing gibbous setting in the early morning at 2:30am. Clear as mud? 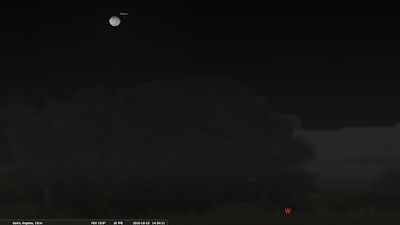 Let's go to Stellarium to see if there's a simpler way to look this up. I updated my location in Stellarium to the Philippines and sure enough, the moon looks exactly like her drawing in the early morning as the waxing gibbous sets.